Pune-based Brainbees Solutions Pvt Ltd, which runs baby and kids focused e-commerce site FirstCry.com along with associated company Digital Age Retail Pvt Ltd, has added $10 million to its Series D round of funding by roping in NEA as a new investor besides its existing investor Valiant Capital Partners. This adds to the $26 million (over Rs 160 crore) that it raised in February this year, bringing the total amount raised in the fourth round of fundraising to $36 million. Two months ago, it raised the money from San Francisco-based hedge fund Valiant Capital with participation from existing investors IDG Ventures India, Temasek's VC arm Vertex and SAIF Partners. FirstCry has raised nearly $70 million since its inception. FirstCry runs its private label under the BabyHug brand. The firm claims its private label contributes a quarter of the company’s sales. 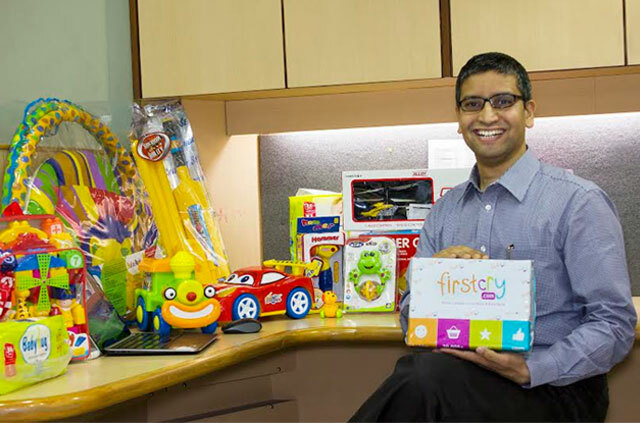 Founded in 2010 by Maheshwari and Amitava Saha, FirstCry operates a hybrid online-offline model dealing with baby and kids retailing and has over 100 FirstCry-branded franchisee stores across 85 cities in the country. In addition, Brainbees also has distribution partnerships with over 6,000 hospitals across the country. Venture capital and growth equity firm NEA, which has come as a new investor now, had previously invested in Diapers.com, a US-based children’s products retailer which was later acquired by Amazon. “With our prior experience of investing at Diapers.com in the US, we could see a lot of similarities in building a successful model,” Ben Mathias, partner and executive director, NEA, said. FirstCry is the largest player in its vertical which has seen some consolidation over a period of time. BabyOye, a key rival of FirstCry, had failed to raise fresh funding and was acquired by Mahindra Group (which runs offline baby products retail chain Mom & Me and is now using BabyOye as its online sales channel). In another recent deal, Hit The Mark Inc., which runs Mumbai-based curated baby and kids products flash sales site Hopscotch.in, raised $11 million in its Series B round of funding led by Facebook co-founder Eduardo Saverin’s VC fund Velos Partners last month. The round also saw participation from US-based Rise Capital, Middle East-based Jabbar Internet Group as well as existing investors Singapore-based Lionrock Capital and Skype co-founder Toivo Annus. All these firms also compete with top horizontal e-tailers such as Flipkart, Amazon and Snapdeal which also sell baby products. Digital Age Retail Pvt. Ltd.